Roof Inspection: How Often Should You Inspect? They always say that it is a blessing to have a “roof over your head,” and that is certainly true, but what happens when that roof fails? The answer is nothing good. Your roof protects you, your family and your belongings from the elements and it must be cared for properly so that it can continue to offer shelter for years of use and abuse through rain, wind, snow, hail and more. Even a small leak in a roof can lead to major issues, so it is important that you keep it well maintained and in good condition. How can you know if your roof is in need of repairs, though, with it largely out of sight? Regular roof inspections. Having your roof inspected professional is a first step in making sure that your roof is in good shape and ready to weather any storm. As a general rule, you should have your roof inspected twice every year – once in the spring to assess any damage from the winter snow and ice and again in the fall to ensure that your roof is prepared to handle the next cold season. These times fall between the hot extremes of summer and the bitter cold of winter, and give you an opportunity on either end to make improvements or repairs that might be needed to prepare you for the season ahead. Roof inspections are necessary because the elements regularly impact it. There doesn’t have to be a major hail storm for your roof to take a hit. Your roof’s exposure to regular sun, rain, wind and temperature fluctuations will eventually lead to wear of shingles and degradation of the roof membrane over time, requiring regular repairs and maintenance to prevent issues from worsening. Performing inspections at these regular bi-annual intervals is also important simply for your ability to detect problems. Roofing issues can often be hidden until they aren’t, such as a slow leak that has allowed mold to grow in your attic for years but never been detected until staining appears on your ceilings. You can’t repair problems you aren’t aware of, and you don’t want to let even the smallest threat to become a major issue down the road. When you or an expert inspects your roof, it is essential that you check for any and all warning signs or roofing issues. Be sure to caulking and sealant around skylights or chimneys, look for missing, broken or blistering shingles, inspect chimney caps for damage and even look inside at the attic space for any signs of mold. 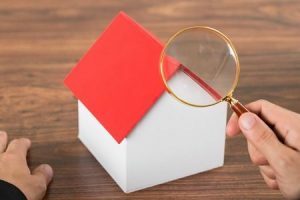 Beyond the two annual visual inspections, you should also have a formal moisture survey done at least once a year to ensure that mold does not become a major issue. If you want to get a roof inspection by a company that you can trust, then look no further than the experts at Roofing by Bruce. We will provide a full review and give you a comprehensive report with our findings. We can also make repairs, perform maintenance work and – if needed – perform full roof replacements. Don’t put your dwelling at risk. Call us today at 570-424-7250 to schedule an inspection appointment this spring.